Dressed in all black and with his eyes hidden by sunglasses, Taiwanese-American singer/actor Wilber Pan (潘瑋柏) may seem like the epitome of cool. But what many do not know is that behind this cool exterior lies a playful young man who, despite his success, has faced his share of struggles as well. In a recent interview, Wilber revealed the difficulties he faced when he first started off in the music industry, as well as after his highly contested win in the 2011 Golden Bell Awards (金鐘獎). After his debut more than ten years ago, Wilber has continued to be extremely popular, whether because of his musical releases, movie and television roles, or commercial contracts. However, his road to success has not always been so smooth. When discussing his starting point as a rising star, Wilber expressed that he had to thank American singer-songwriter Coco Lee (李玟) for her constant support. Wilber also added that Singaporean singer-songwriter Stefanie Sun (孫燕姿) had been a source of support as well, always encouraging him to pursue his dreams. 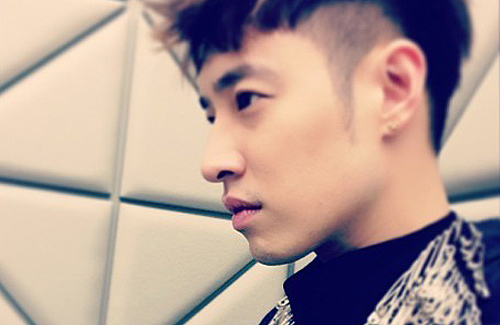 In August 2012, Wilber released his ninth studio album, The Story of Billy <24個比利>, the theme of which he says was influenced by the aftermath of the 2011 Golden Bell Awards. To the surprise of many, Wilber emerged from the event with the award for Best Leading Actor in a Television Series, for his performance in the Taiwanese idol drama, Endless Love <愛無限>. didn’t this dude got major plastic surgery? Who hasn’t had plastic surgery in this industry? Do you think Huang Xiao Ming would be where is is now if didn’t go under the knife? The guy really can’t sing but people still have him a mic. He’s not the best singer or actor but he has the look.